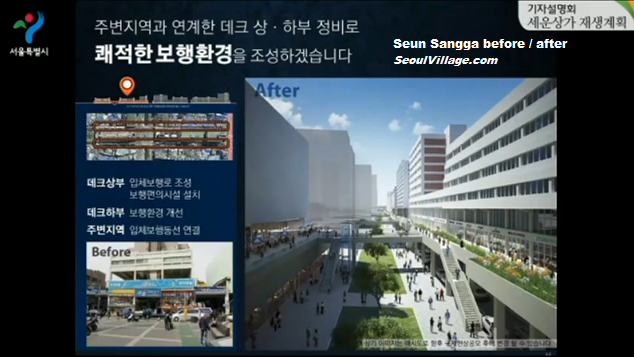 Seoul city presented yesterday* more details about the revamping of Seun Sangga I recently mentioned in a focus on Seoul urban revitalization projects (see the 'reviving neighborhood' section of "Diagonal crossings, High Lines, and Business Verticals (how pedestrians and businesses remodel Seoul... and vice-versa)"). 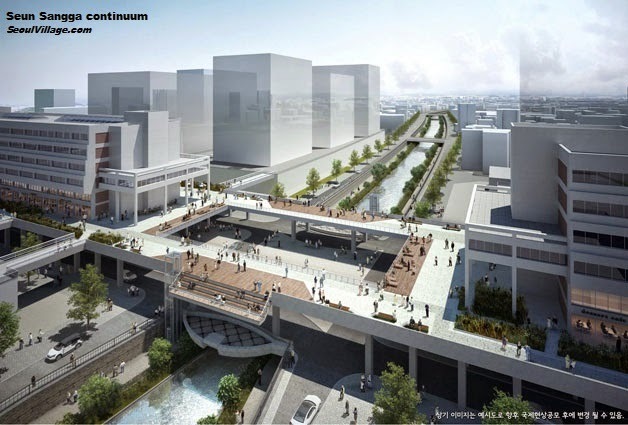 I understand the logic, restoring the original bridge with a continuous promenade very much like the Seoul Skyway (that's the latest name of Seoul Station 7017 Project - see "Seoul Station Elevated Park (Seoul Station Project 7017? The Seoul Vine?) 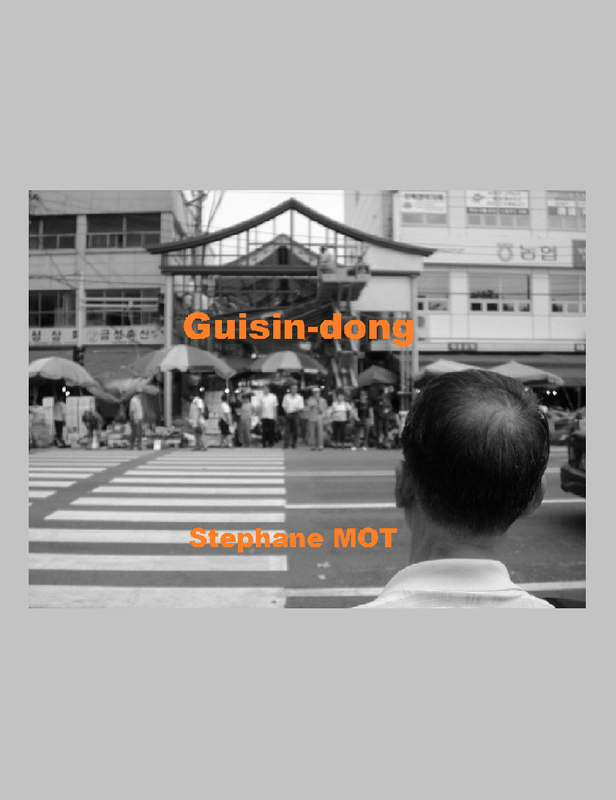 - An Update", and the 7 consortia selected on seoul.go.kr/story2015/skyway). 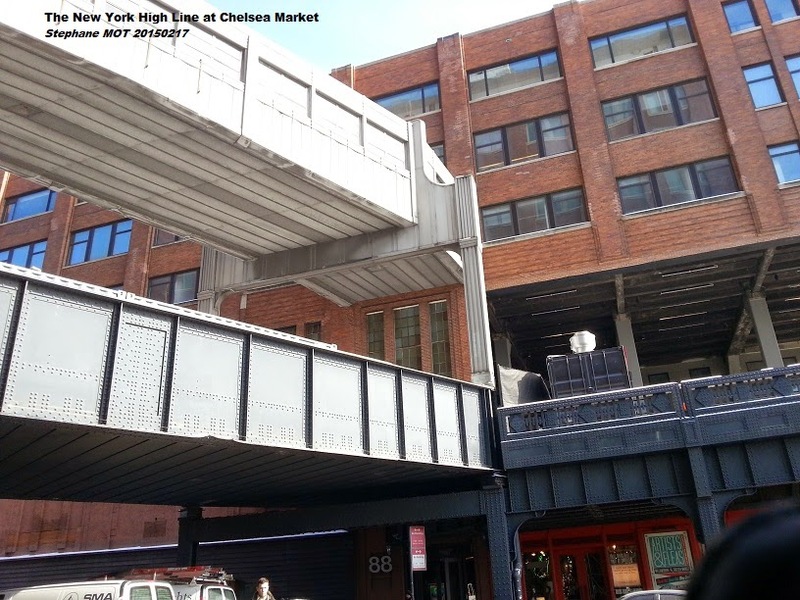 But this elevated walkway's a bit bulky. 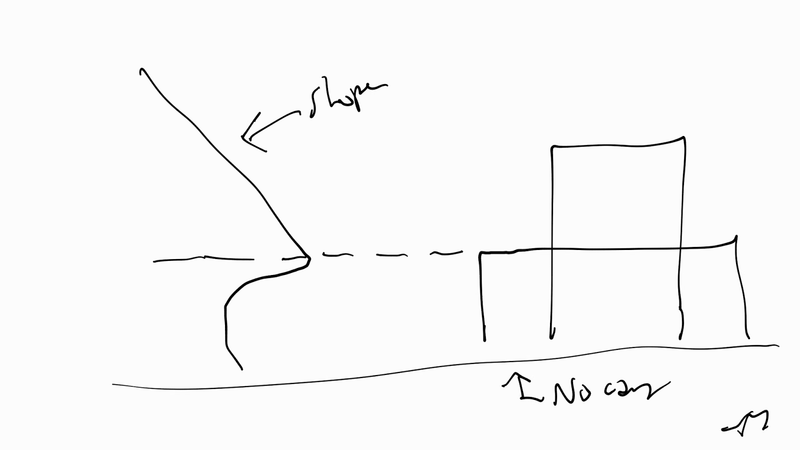 Do we have to sacrifice street levels all the time? 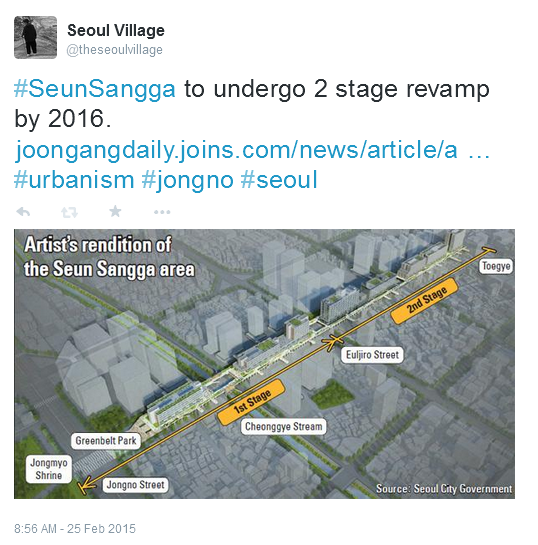 And of all places, over Cheonggyecheon, the symbol of the removal of massive elevated structures? I'm less interested in this crystallization of Kim Swoo-geun's bar than in its integration in a revitalized urbanscape. The project pays, as it should, a lot of importance to the building's sides... even if, of course, that is just an alibi to relaunch the profitable redevelopment of the low-rise maze surrounding Seun Sangga. Well. I neither expected nor wanted that area to be totally preserved, because it is neither sustainable, nor safe (industrial pollution, poor fire protection...). The slopes would also contrast with the Seun Sangga's verticality, highlighting the landmark instead of mirroring it, but flattening it at the same time to reduce its towering effect. Good to know the New Town-ish project of the mid noughties has been dumped. 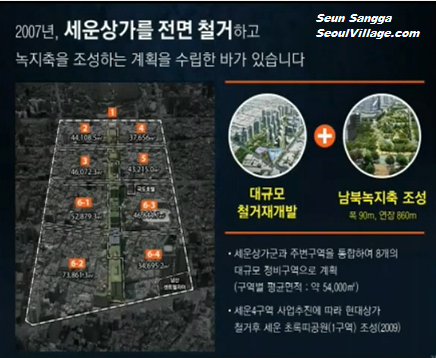 I didn't want the neighborhood to be just filled with new towers, like what's happening around Sejongno. We already lost Pimatgol's alleyways, now we must keep some of the charm of this messy maze. It will certainly make the promenade more enjoyable. ** see "No cars on Gwanghwamun Square for New Year's Day"